Firecrackers DFW Sykes stole the show at the DFW Shootout “MVP Event” going undefeated in a 6-game stretch to win the 14U Gold bracket championship. Haawa Townsend, Abby Garner, and Jess Antonacci combined for five homeruns, three of which came in the semi-final game versus Impact Gold Zaboronek, leading the team to the finals where they would ultimately defeat Texas Glory White by a score of 3-1. For head coach Sean Sykes, the road to this high-profile tournament win was not an easy one but one that is beginning to payoff in a big way. According to Sykes, “We took our lumps in the fall,” but Firecrackers DFW are well on their way to putting the program back on the map. The Sykes’ family Firecracker softball journey began back in 2016 in Lake Elsinore, California where Kat Sykes played for Firecrackers Jensen. After a successful 2016-2017 season and after 26 years in Southern California, Sean Sykes got the call that work would be relocating him and his family to Beaverton, Oregon. This past summer, after one year in Beaverton and one season with the Oregon Blaze, the call came once again to relocate, this time to the Dallas area. With this move there was a strong desire to find that winning softball culture for Kat to be a part of now that she was into her 14U season. With experience coaching at both the travel ball and high school levels, Sean had hopes of not only creating the best possible situation for Kat, but also had a desire to return to the dugout himself. It’s no secret that Texas holds some of the most competitive travel ball programs in the nation, but Sean and Kat preferred to continue on with the Firecracker foundation created during their time in California. 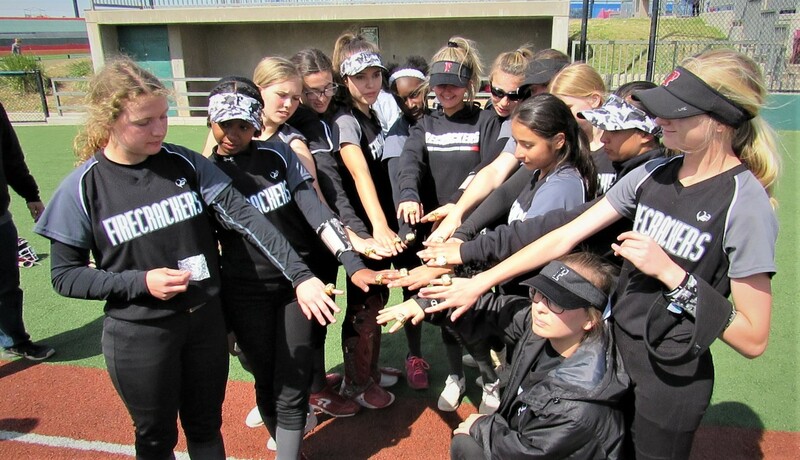 So, when the text from Firecrackers DFW 18U coach, Tony Rosales, came, it felt like home. Not long after the call, the 2018 season ended and the second year 14U coaching position opened up. Sykes was offered the position and accepted, and on the day of the team tryout, 10 athletes showed up including one returner. Sykes took all 10 and began preparing for what was assumed to be a re-building year. The first few months were “educational at best” says Sykes, as the team went on to win only 1 of its first 24 games. 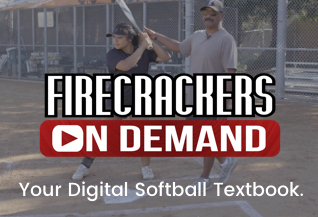 A game-changing contact came in early October when Sean received a call from Mission Viejo, California native Dave Gonzalez, whose daughter, Kaitlyn had also previously been in the Firecrackers organization. Understanding the culture of the organization, and also being a high school coach, Sean knew Dave could make a huge impact as part of his staff that already included Scott Shenkenberger and Shane Daniel. Together they began to build. 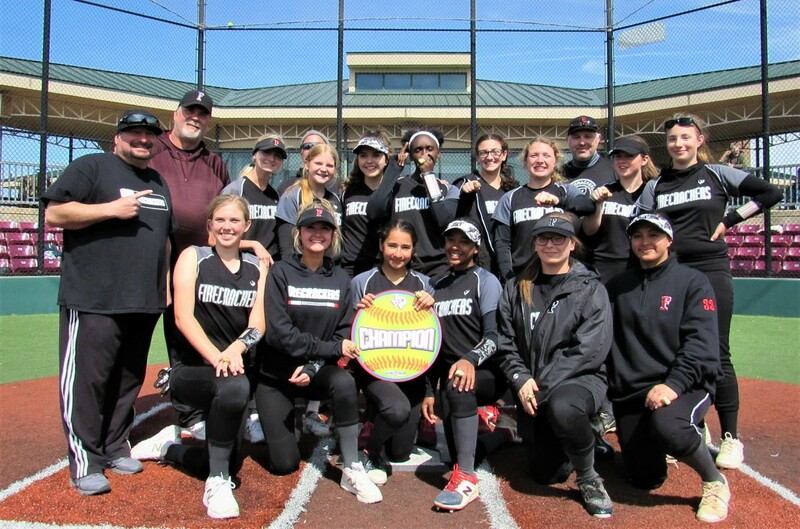 Get to know the Firecrackers DFW Sykes team and follow their journey by visiting their website www.firecrackersdfwsykes.com or visit their Facebook page Firecrackers DFW Rosales/Sykes.